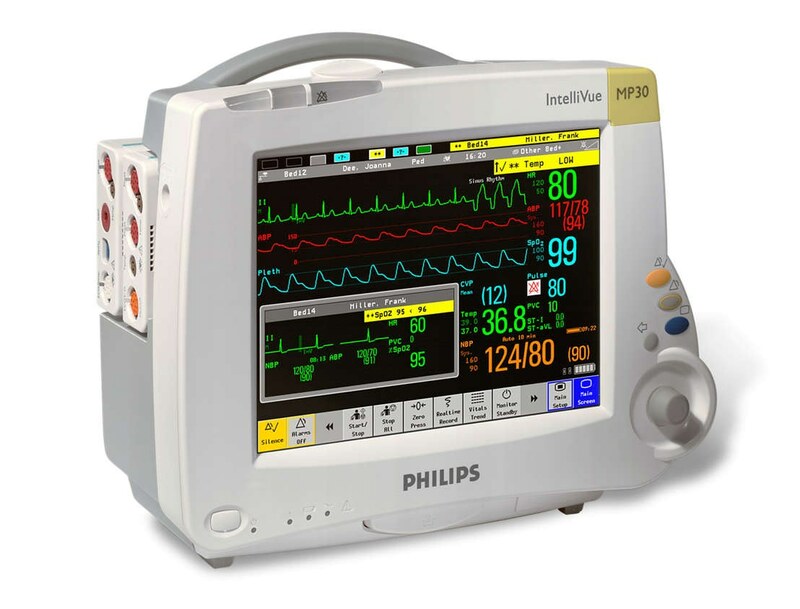 The Philips IntelliVue MP30 is a bedside patient monitor for use in many healthcare settings. A unique feature that differentiates the MP30 monitor from the MP20 is the touchscreen and the standard networking capability. The touchscreen enables the clinician to quickly and easily pick the function that needs to be used.